Conditions the 65-year-old had faced included using a sole computer, in his lawyer's office, and one mobile phone. He has been detained over suspicions that he tried to enrich himself at the carmaker's expense. 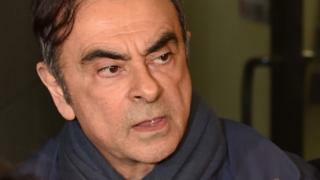 In a statement, Mr Ghosn - who denies any wrongdoing - said his re-arrest was "outrageous and arbitrary". Mr Ghosn's lawyer, Takashi Takano, issued a blog post (in Japanese) over the weekend where he outlined his client's bail conditions after he was released from custody on 6 March. Mr Ghosn also had to keep a log of everyone he met - except his wife and legal counsel - as well as records of telephone calls and internet use. The motor executive had said on 3 April, in a newly created Twitter account, that he was planning a press conference on 11 April "to tell the truth about what's happening".